Clore JNC300XL 'Jump-N-Carry' 900 Peak Amp Ultraportable 12-Volt Jump Starter very good $ Click Here! Clore JNC660 “Jump-N-Carry” jump starter is in our opinion the best portable jump starter on the market, and we are not the only ones who think so. The highest rated jump starter on Amazon with an average rating of 4.7 out of 5, this car battery jump starter offers everything you need in terms of power and reliability at a very affordable price. 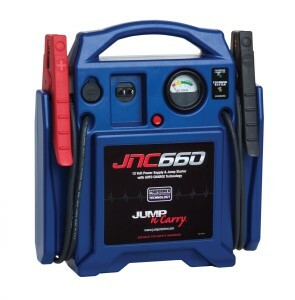 Being available for purchase at under $200 through our discount link above, the Clore JNC660 Jump-N-Carry jump starter is able to deliver up to 1,700 peak amps and 425 cranking amps to any dead battery. Recharging this jump starter can be done as easy as plugging an extension cord into the AC outlet located on the front of the device. Weighing just 18 pounds, this is an extremely portable jump starter able at the same time to deliver serious power needed for any emergency you may encounter. 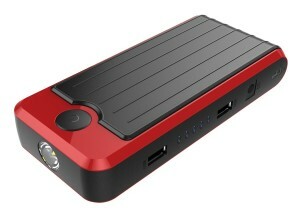 Our second option, after countless jump starter reviews, was the Clore JNC300XL Jump-N-Carry jump starter. There are a couple of significant differences between Clore’s JNC300XL and JNC660 models, but the are both products that are well worth the money spent on them. 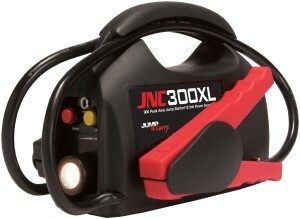 The JNC300XL is able to deliver a lower starting power at only 900 peak amps, but it makes up for it due to its portability, weighing just 5 pounds and having an ergonomic design with a handle that makes carrying it around a breeze. 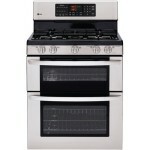 Similarly highly rated by previous customers, the Clore’s JNC300XL has an average rating of 4.5 out of 5 and can be purchased for under $100 through our discount link mentioned above. Schumacher is one of the leading brands when it comes to manufacturing auto parts, and their PSJ-2212 portable jump starter and power unit does not disappoint in the slightest. One of the most powerful jump starters when it comes to peak amps delivered, the PSJ-2212 is able to power up to 2200 peak amps and 330 cranking amps to any 12 Volt accessories. In also features a couple of great additions such as a reliable polypropylene case for extra security, incorrect hooking up alarm in case you mix the cables and a built in charger. 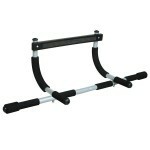 The clamps are equipped with copper jaws that can be easily replaced in case they wear out after a period of use. Although we are going to feature other Schumacher jump starters in our top 10 best jump starters list, this is the model that we think defines them and it’s considered the best when it comes to high quality at an affordable price. The Stanley J5C09 model is our second rated jump starter that can be purchased for under $100 and the price is what makes it such a compelling product. Although it can’t deliver as much power as other top of the line jump starters, with a capacity of 1000 peak amps and 500 amp instant power, this is usually enough to jump start any car battery and there are a number of other features that make it a great product. The Stanley J5C09 comes up with a built in air compressor, a powerful LED light and a USB charger, and features a visual and audible alarm in case of incorrect plugging. 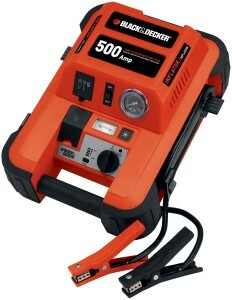 This Black and Decker JUS500IB jump starter is very similar to the Stanley model reviewed above in terms of power, features and even price. 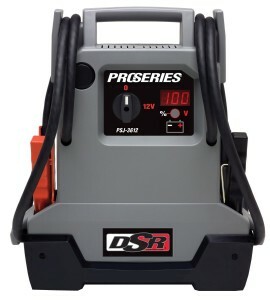 With the same 500 amps instant power capacity, a tire inflator and a reverse polarity alarm, the only difference between them is the design and the brand. This Black and Decker jump starter features a more compact design making it much easier to store it or transport it. Although not a dedicated car battery jump starter, we have been blown away by the performance delivered, the sleek design and the portability of the PowerAll PBJS12000R jump starter. With a perfect rating on Amazon, 5.0 out of 5.0, this sleek jump starter is extremely versatile and can be used for recharging a lot of other electronic devices including your mobile phone. If you are looking for something that can easily fit in the glove department, although it lacks in terms of peak amps, give this jump starter a try. 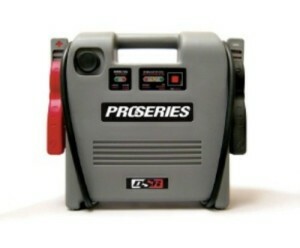 Another Schumacher jump starter, the PSJ-1812 does not have the same performance as the previously reviewed PSJ-2212 model, but it holds its own quite nicely. With 1800 peak amps and 280 cranking amps this is a solid purchase that also features a built in charger and can be purchased for slightly under $100 through our discount link above. 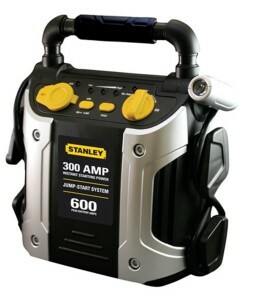 If you are not looking for too much power and price is the defining factor in choosing your best portable jump starter, then the Stanley J309 jump starter is the right model for you. 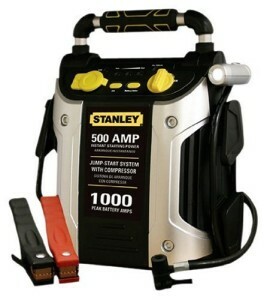 With 600 peak amps and 300 instant amps, this jump starter features the same design and accessories of other Stanley jump starters at arguably the most affordable price on our list at around $50. One of the most powerful jump starters, the Schumacher PSJ-3612 would have surely gotten a better rating in our top 10 jump starters list if it was just a tad more affordable. 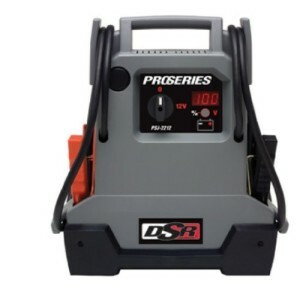 As it stands, if money is of no concern for you or if you are looking for a serious jump starter for a commercial purpose, this beastly jump starters delivers 3600 peak amps and 470 cranking amps and has a very high rating of 4.5 out of 5 on Amazon. Highly recommended if you can afford it. You would have expected Duracell, the leading manufacturer of batteries to come up with the best quality jump starter and power source, but we have not been impressed that much. 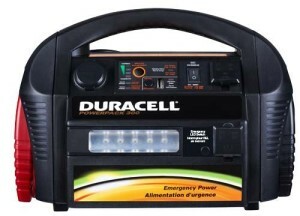 This is a solid purchase, with a lot of versatility including an air compressor, but it’s more recommended as an all around back up generator or for use in emergency situations than a dedicated car jump starter. Still a decent and recommended purchase.